Just wanted to drop on by before I forget to let everyone know that Dizzy Blonde Studios will be updating it’s store on April 4, 2009, at approx. 10:00 am, California time. …I’m debuting an entirely new line! 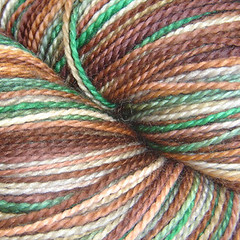 The Dirty Blonde Superwash DK is from the same wonderful 100% Merino superwash you’ve come to expect from Dizzy Blonde Studios. 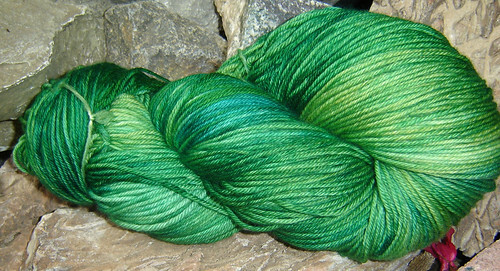 However this line is kettle-dyed, resulting in colors though semi-solid or monochromatic, are rich and vibrant. Care to see more? 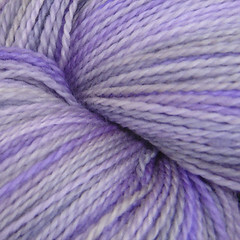 Check out my yarn page for more Dirty Blonde pictures and details, but you may want to wait until after this coming Monday…in the meantime, how would you like to you get acquainted with Martha? Whoa..those kettle-dyes are gorgeous! But I wanna know, what does the slippery slope lead to? I hope you dyed a lot of Faith. I also hope I remember to get online on the 4th. I’m in love with Slippery Slope!